Oregon Attorney General Ellen F. Rosenblum is committed to upholding the civil rights of all Oregonians. The Oregon DOJ enforces state laws that protect Oregonians against discrimination on the basis of a protected class » or protected activity. In May 2018, Attorney General Rosenblum created a task force to study hate-motivated crimes. The task force is currently making proposals to the Oregon legislature to strengthen Oregon’s laws. The task force is also looking into whether law enforcement have the tools they need to investigate and combat hate crimes. A full list of task force members can be found here ». A hate crime happens when somebody intentionally uses offensive physical contact, threatens physical injury or threatens to cause damage to the property of another person because of their actual or perceived race, color, religion, sexual orientation », gender identity or national origin. A hate crime can also target one’s family. If you believe you have been the victim of a hate crime, please report it to your local law enforcement immediately. You can also report your crime online to the Oregon DOJ ». 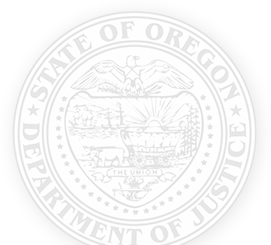 The Civil Rights Unit educates individuals about their rights and the resources the Oregon DOJ has to offer. The Director of the Unit represents the commissioner of the Oregon Bureau of Labor and Industries » in housing discrimination cases brought by that agency, and investigates complaints emanating from business practices that target suspect classes such as the disabled, the elderly, immigrants, veterans and minorities. To schedule a presentation or to file a complaint about a business practice that targets suspect classes, contact the Civil Rights Unit at 503-378-4400.